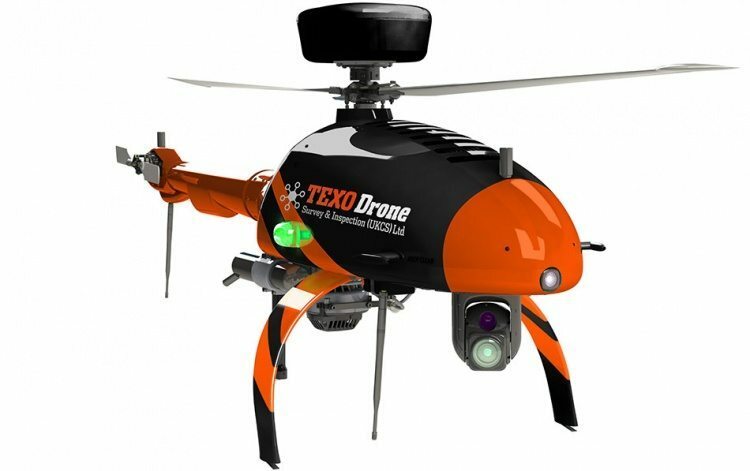 Texo Drone Survey and Inspection (Texo DSI) provides a wide range of unmanned aerial vehicle sevices as commercial drone operator and acquires the HEF 32 VTOL UAS to be able to fly Long Range (BVLOS) missions in all weather conditions. The HEF 32 Unmanned Helicopter System (UHS) is the first to be delivered to a UK operator and allows Texo DSI to operate detailed inspection of near shore installations, like wind turbines, without the risk and costs of maritime logistics of personnel. James continues: “We decided based on the weight of less than 25kg, benefits of IP-67 rating operating in bad weather as well as the flight range and 4+ hours of flight time. We will start using an advanced 30x optical zoom HD camera system with thermal imaging cameras and target tracking”.